Nerd Reactor had the great pleasure of interviewing the volatile Saiyan Vegeta today. The list of topics ranged from his belief that Goku is not the hero the public thinks he is, to his regrets of not stopping Frieza from destroying his home, Planet Vegeta. We were also able to ask him about UFC Bantamweight Champion and MMA Superstar Ronda Rousey and his thoughts on her crush on him as she talked about in her interview with FightHubTV. Vegeta did not seem impressed or suprised. 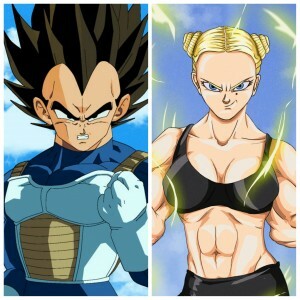 It will be interesting to find out how Rousey herself will feel about the Super Saiyan’s brash comments, but we will continue to follow whatever this turns into. Dragon Ball Z: Resurrection ‘F’ is in select theaters across the United States today. The interview was done with Chris Sabat, the voice behind Vegeta.